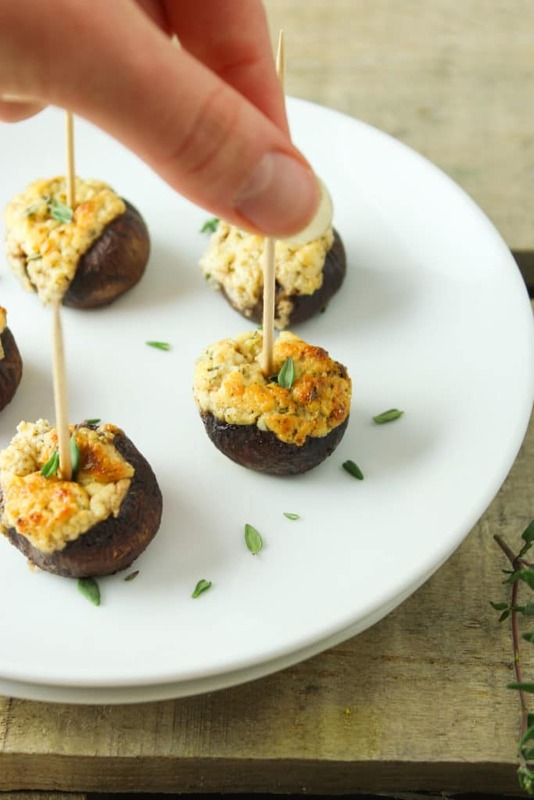 This easy, two-step recipe for stuffed mushrooms makes a great side, finger-food, or appetizer. 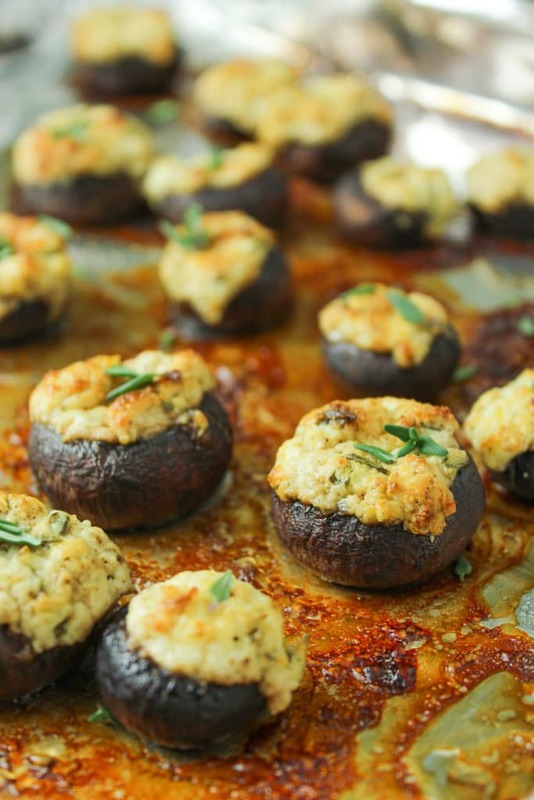 Baby portobello mushrooms are stuffed with herbed goat cheese and roasted until tender. These are perfect for hosting parties! Last minute shopping. Last minute wrapping. Last minute outfit-pulling-together. Last minute parties. Anyone else in this boat with me? I see you. I know you’re out there. It’s about appreciating the quiet moments and expressing the thankfulness that floods into our hearts this time of year. In a world of uncertainty, Christmas is a constant. Everyone is in a good mood, everyone is more generous and kind, and everything is covered in a warm, fuzzy, happy glow. It may only last a few days, but dammit – these are a good few days every year. After all of the preparations are done and the snow settles (No snow here though! We’re having some bizarre spring-like weather! ), I believe in fuss-free meal preparation for Christmas Day. Less time prepping, stirring, checking, and cleaning up – more time visiting, relaxing, and enjoying company. 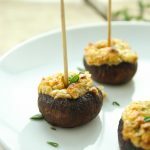 This appetizer can easily be changed up with different ingredients, depending on what you have in your kitchen. You could mix in sundried tomatoes, pesto, roasted red peppers, basil, spices, etc. to put a new spin on the flavor. 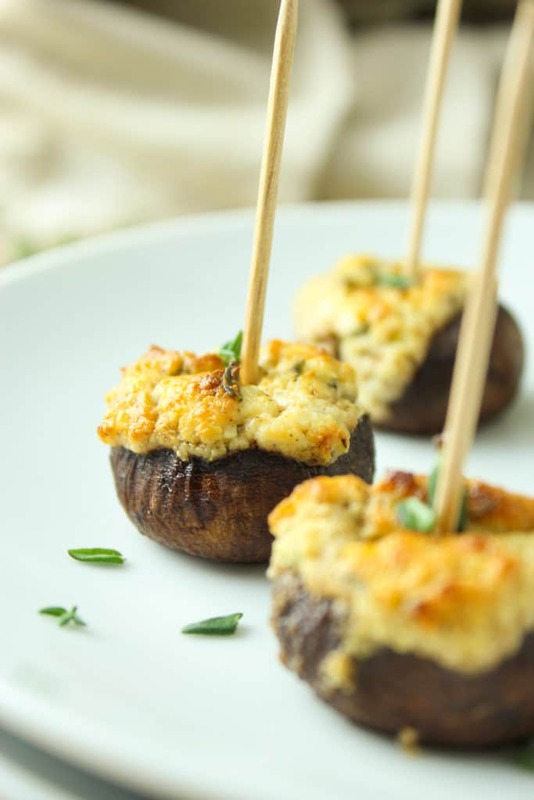 Stuffed with goat cheese and herbs, these easy stuffed mushrooms make a great side, finger-food, or appetizer. Mix the goat cheese, seasonings, and garlic together in a medium bowl. Spray a foil-lined tray with oil and place the mushrooms open side up. 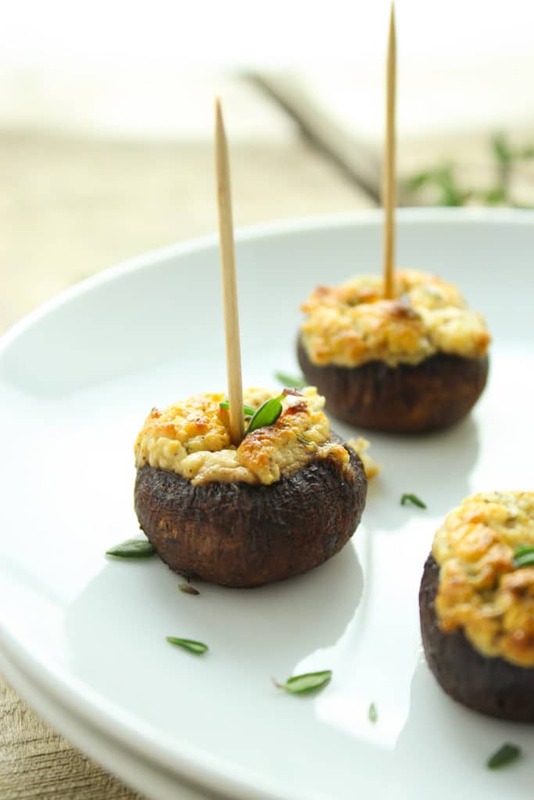 Fill each mushroom with the goat cheese mixture. If desired, poke them with a toothpick for easy grazing.